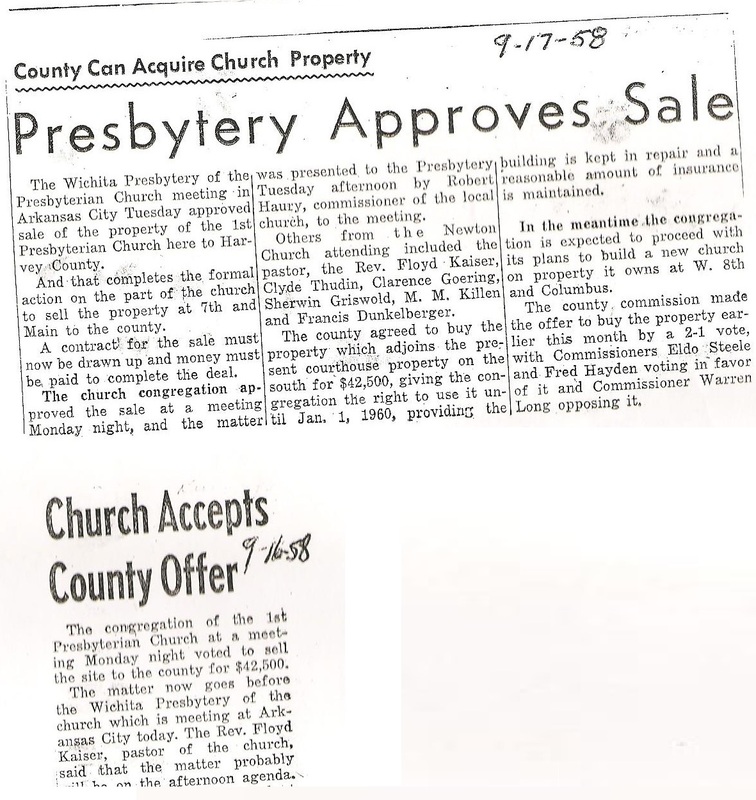 First Presbyterian Church and the Wichita Presbytery accepts the county offer of $42,500 for the church building located in the courthouse block. The congregation retained rights to use the building until January 1, 1960. The commissioners made the offer earlier in the month after a 2-1 vote.